Offering both practicality and style, a dual roller blind system is the ideal window treatment for those wanting a simple yet private way of life. Layering a beautiful light-filtering screen with a heavier blockout creates a streamlined look, offers flexibility and complements the décor in nearly every home. Our Sunscreens reduce the glare whilst still allowing light to filter through, therefore creating a space full of natural light. Whilst they do offer privacy during the day, silhouettes are visible at night-time which is why we recommend a dual system for those wanting optimal privacy, especially in living rooms and bedrooms. Once the sun sets in the evening and lights are turned on inside, we recommend putting the Blockout screen down. This creates an instantly cosy space as the PVC backing ensures no-one can see in! The dual roller system can be operated manually using a chain or it can be motorised. 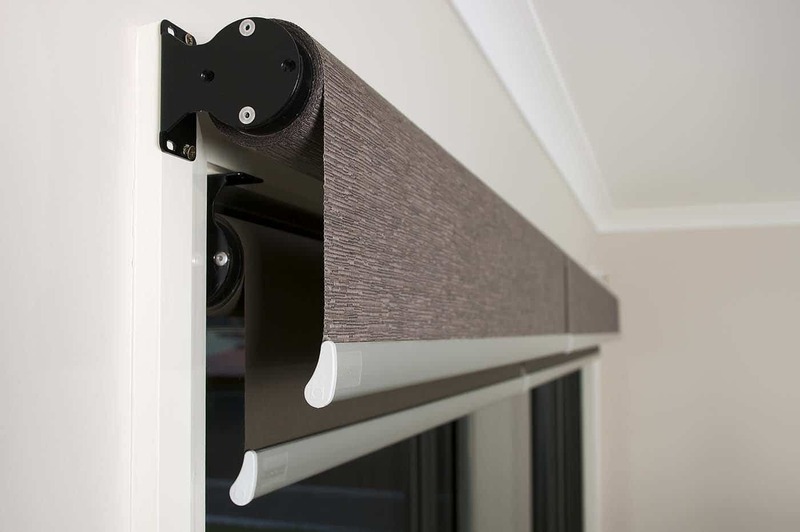 We absolutely love the motorised option at Classic Blinds and Shutters as it creates a sleeker look and is much easier to operate. With the push of a button, you can control your blinds… it doesn’t get much easier than that! With an array of colours and textures in both our locally made Classic range and our Helioscreen range, there is a fabric out there for everyone. Don’t be afraid of introducing unusual textures and patterns into your home, they add depth to your space and can often make the room feel more inviting.